Royal Air Force officers were very kind & at my request made a cross made of an aeroplane propeller & erected it over Kenneth Croall’s grave”. 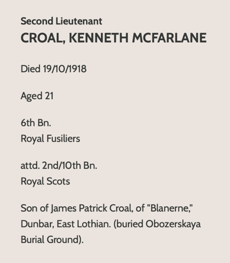 Kenneth Croal is mentioned by General Ironside in his account of the Russian Intervention, Archangel 1918-19 and now has a memorial in the Archangel Allied Cemetery in Archangelsk, North Russia. Although Douglas intimates that he met 2nd Lt. Kenneth Croal on the City of Cairo bringing them both to Archangel, Kenneth was in fact well known to friends of the Page family the Sturrocks of Leith. When I first read the mention of Lt. K Croal in General Edmund Ironside’s “Archangel 1918-1919”, I knew that it was a name familiar to me. Searching through family photographs we came across the picture that I knew we had. Fortunately, a contemporary relative had marked the backing paper of the picture identifying those in the group. 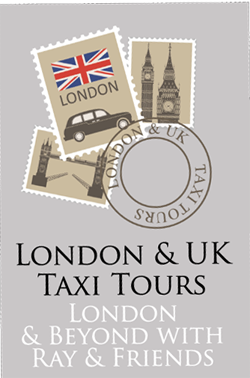 The group consisted of Kenneth Croal then aged about 18; T.G.Gordon Sturrock (see this diary post for more details) Mrs. Annie Sturrock (Gordon and Douglas Sturrock’s Mother) and Douglas Sturrock. At a garden fete at Sir Richard Mackie’s (Provost of Leith) at Trinity. 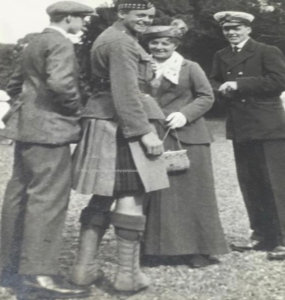 Kenneth Croal (killed in action), Gordon Sturrock (killed in action), Mrs Sturrock and Douglas Sturrock.